Tigers and bears were not to follow suit for the TCNJ Lions on Tuesday as they traveled to Rowan to take on the Profs for a doubleheader. TCNJ was able to get the best of Profs pitcher Jesse DeDomenico, a feature that most teams thus far haven’t been able to do. DeDomenico, a sophomore, pitched a complete game but led up season-highs in hits (10) and earned runs (3). 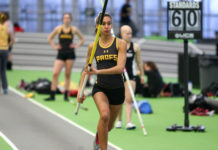 It was her second consecutive loss, both coming from New Jersey Athletic Conference (NJAC) opponents, with the first coming last week against Stockton University, 3-1. 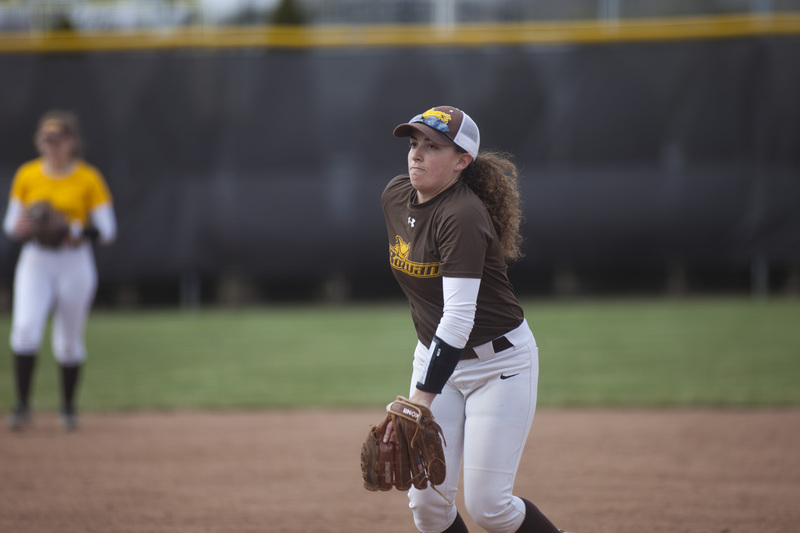 After falling behind 1-0 in the top of the third inning, the Profs were fueled by a two-run homer by senior catcher and captain Morgan Smith. The Lions then tied the game at two apiece in the top of the fifth. 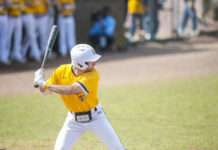 There was pressure for more runs to be scored as TCNJ had runners on second and third with two outs, but DeDomenico forced a groundout to shortstop that ended the inning. But, game two shined in the brown and gold’s favor. 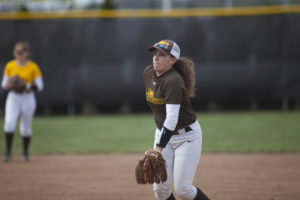 It was yet another stellar pitching matchup, as sophomore Lauren Shannon was on the pine for Rowan and senior Sam Platt was up for the Lions. Platt had come into the game with a 2.75 ERA, with Shannon showing a 3.15 ERA. When you see just two hits for TCNJ and five for the Profs, you would imagine both pitchers notched high amounts of strikeouts, but this was not the case. Both teams only recorded two strikeouts each, as most of the putouts were groundouts and pop flies. The game finally caught action when TCNJ scored a run in the fourth on an error. Rowan would match them in the bottom of the inning with an RBI single from junior Cassandra Gerard. Gerard had two RBI’s on the game, with the second coming on a bases loaded walk in the bottom of the fifth. That’s all the Profs needed in the game, beating the Lions 3-1 in the pitching duel. Rowan stands at 17-6-1 but just 3-3 in the NJAC, where they stand fifth amongst the conference. Rowan heads to 4-16 New Jersey City University on Saturday for two games. First pitch is at 1 p.m.